Wise words that echo around our world, words that we should listen to and appreciate, words that we can all learn from, words that directly link us to mother nature and her awesome power of healing. ← Wow! Positive Energy Flow and Affirmations are working Overtime for me :) Thank You! Awaken the Soul to LOVE . Allow LOVE to Flow.and to the Entire Universe. What a beautiful prayer. I am going to copy it onto paper and say it at the beginning of each day. 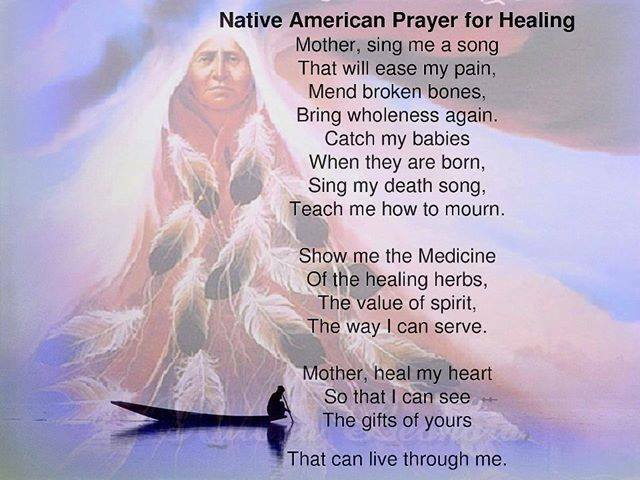 mother nature holds us all together, listen, with the Great Spirit’s help! healing herbs, can you send me a recipe, perhaps say a prayer for my general wellbeing, i’ll pass it on as they say, blessings to you and yours, great post, just what i needed. What a beautiful way to begin the day.